Daylight Saving Oils - Lemongrass - Amphora Aromatics Ltd – Supplier of pure essential oils and aromatherapy Products. The darkness of winter can often bring with it feelings of lethargy and depression, often described as the winter blues. Some pure essential oils can help to provide motivation and inspiration. All this week we’re profiling essential oils that can help to lift the feelings of gloom and depression that afflict so many people at this time of year. 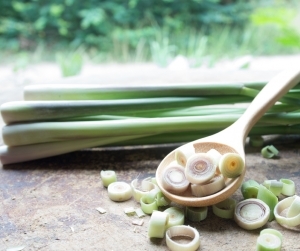 Lemongrass essential oil is incredibly effective in clearing and energising the mind and offering emotional balance. The refreshing scent is useful in enhancing concentration and helps to restore focus. It has a rich and powerful aroma which should be used sparingly. It blends especially well with other energising and emotionally uplifting oils such as Rosemary and Grapefruit as per our lovely blend below. 3 drops Grapefruit – uplifting and energising. 2 drops Lemongrass – refreshing and reviving. 1 drop Rosemary – stimulating and invigorating. Either burn or vaporise this wonderfully uplifting blend or add to a handkerchief and sniff whenever required. Great for when you’re in need of a mental boost or an emotional lift.